We believe that the energy and intention of a place has a strong effect on one's experience, for better or for worse. For this reason, we have chosen two sacred and magical locations to host our offerings. Each of these sanctuaries will become a character in the story of your journey, so choose your own adventure wisely. 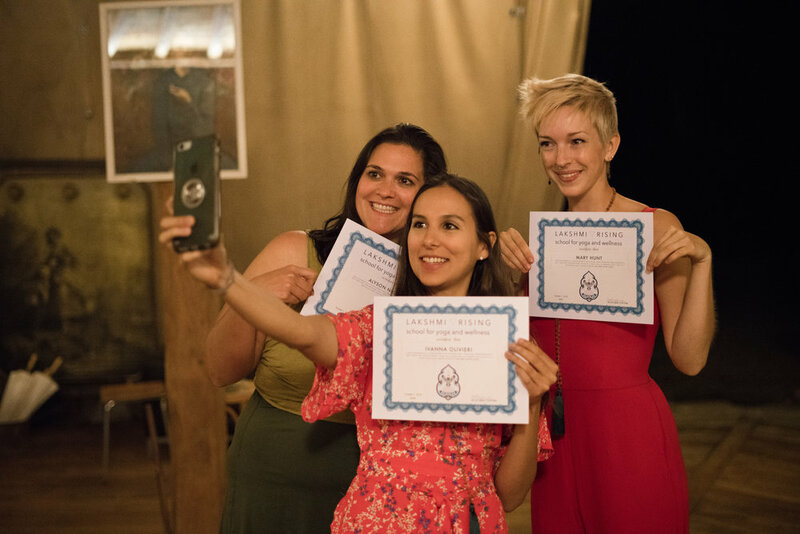 Our three week, 200 hour Yoga Alliance approved curriculum explores the fundamentals of teaching asana & pranayama, as well as techniques on how to develop creative and effective vinyasa sequences. It is the same Lakshmi Rising curriculum that we offer in Costa Rica. We delve into the philosophy of yoga, different styles of meditation, the art of ritual and creating sacred space, ayurveda, anatomy of the physical and energetic bodies, the business of yoga and more. Not only will you deepen your own practice and self awareness, you will come away from this experience with all of the tools necessary to begin teaching and sharing your passion. Become a Yoga Alliance Certified Yoga Teacher on Lakshmi Rising's 200 Hour Yoga Teacher Training in Tuscany, Italy. 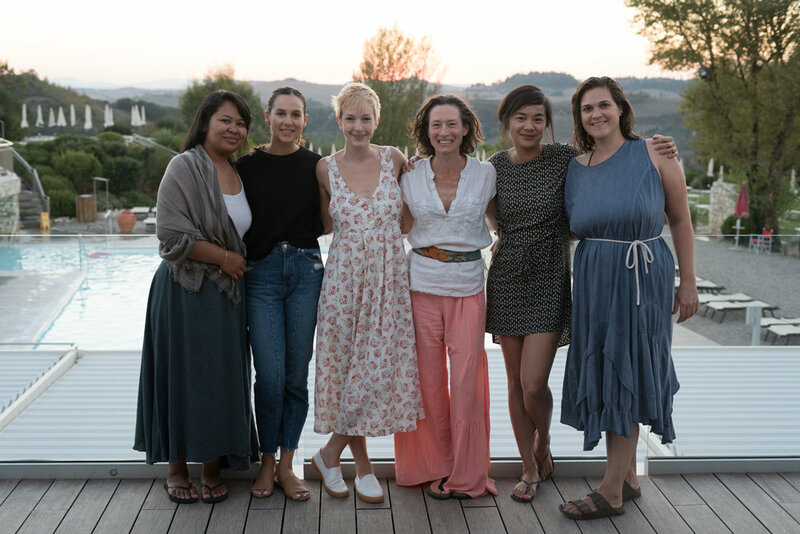 Live three weeks in a Luxurious Villa in the Chianti Hills while studying and practicing yoga, eating delicious Italian and Gaia Gourmet Cuisine, and bonding & sharing with like-minded souls from around the globe. This magical place, overlooking the gentle slopes of the Arno valley, is a beautiful 19th century estate with olive groves, lavender fields and an enchanted forest with a swimming pool at its edge. 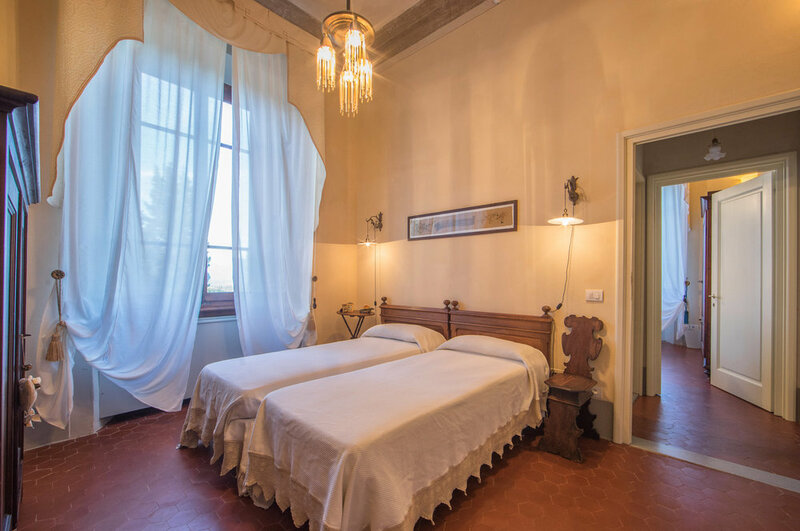 The restored villa is full of art, antiques, modern comforts and conveniences. Our classroom and yoga space will be a heated gazebo with a wood floor and sides that can open up to the surrounding garden (not pictured). As apart of our personal growth and wellness element of the training, we have some delightful cultural excursions planned for you. We will visit the outdoor market in Montevarchi, which has been happening every Thursday for the past 800 years. They have clothing, fruits, veggies, olives, cheese, fabric and more. Here you will have the option to make a side trip to the nearby Prada Factory Store. 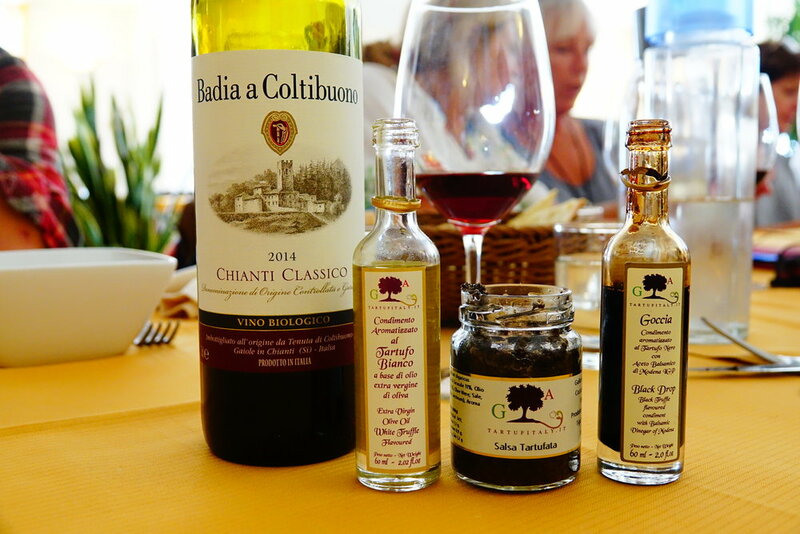 We will also visit a boutique bio-dynamic vineyard and winery where the owners will host a special vegetarian lunch featuring a traditional Tuscan countryside menu paired with their unique and delicious wines. Roberto and Maria-Gracia are pioneers in the organic farming and SlowFood movements in Italy. Another cultural excursion will be a daytrip to the ancient city of Siena, first settled by the Etruscans in 900BC. 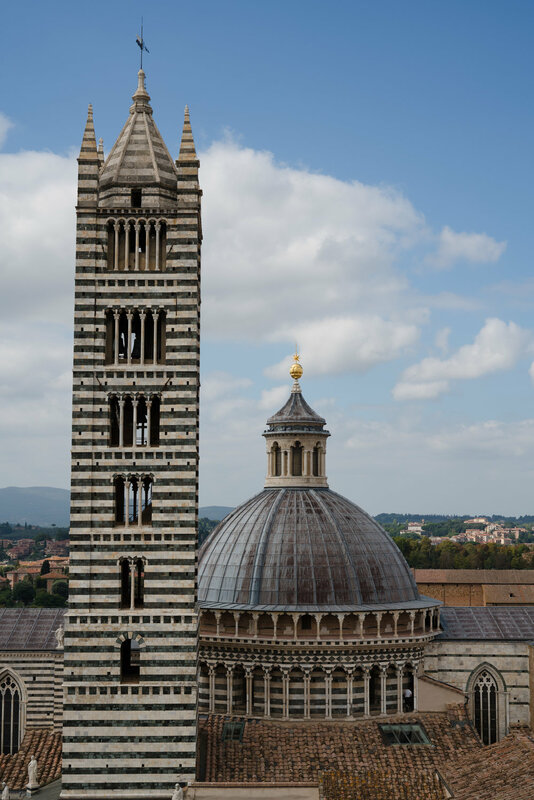 Siena is famous for its cuisine, art, museums and medieval cityscape. 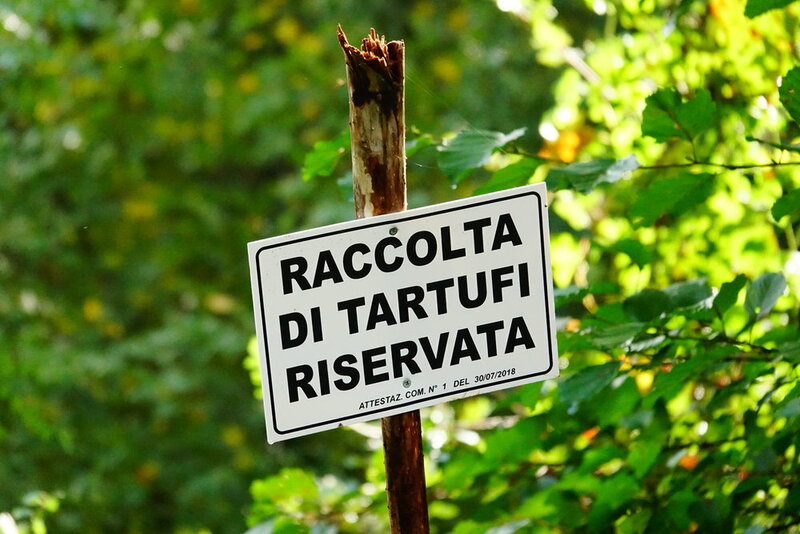 The other two unique experiences we have planned for you include an afternoon of truffle hunting in the woods of the Chianti region of Tuscany with adorable and clever dogs and their truffle expert humans. This will be followed with a delicious truffle inspired lunch paired with wine. Our final outing is to Terme San Giovanni thermal spa where we will spend the day relaxing, bathing in warm mineral pools and enjoying authentic European spa treatments for health and wellbeing. 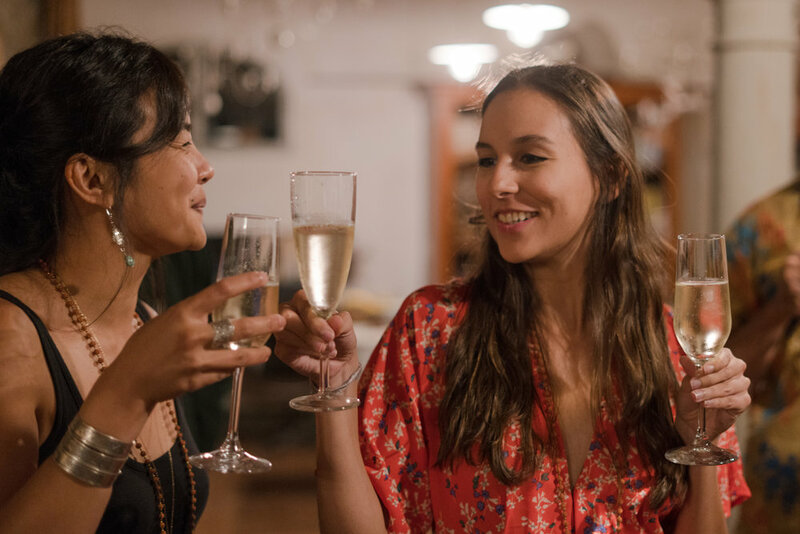 This intensive immersion Yoga Teacher Training features healthy, organic, farm to table, vegetarian Italian dishes catered by Gaia Gourmet, options for curated excursions to cultural sites, thermal hot springs, shopping & more, food & wine adventures, in-house massage therapy & healing body work, and exclusive use of the beautiful private estate. Our delicious farm-to-table Tuscan inspired menu during the training is lacto-ovo vegetarian. We cannot accommodate any extreme dietary restrictions such as a raw food diet. We provide transportation to and from Montevarchi-Terranuova train station upon arrival and departure. Plan to meet at the station at 4pm on Saturday September 7 and we will all ride to the villa together. Check-out time is 10am on Saturday September 28. We will travel our separate ways from the train station. You need to bring a yoga mat, a block and strap, water bottle (there is delicious natural spring water available for us), at least 2 notebooks, a journal, several pens in different colors, flashlight with batteries, sturdy hiking shoes, insect repellant, eco-friendly personal care products (lavender, peppermint & tea tree essential oils come in handy), first aid necessities (arnica, sore muscle balm, ibuprofen, motion sickness medicine, allergy medicine and bandages may be useful), easy to store snacks like dried fruits, nuts and nut butters (we provide fresh fruit and three meals most days but bring extra if you think you will need it), and Euro for excursions and massages.